A journey allowing your mind to travel through time and space and encounter ancient Chinese wisdom. 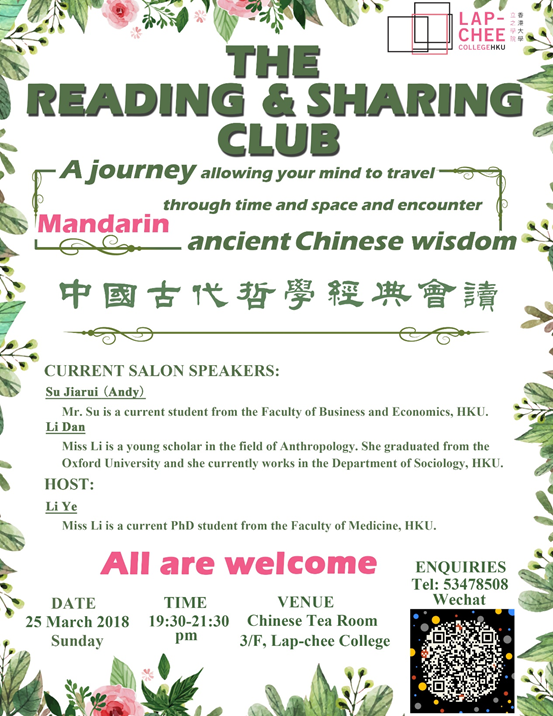 Our core activity is regular salon of ancient Chinese philosophy reading in every week or fortnight. The club is open to all residents of Jockey Club Student Village III. Come and join us if you have interests, no matter you are familiar with ancient philosophy or not. The detail of our next salon is shown in the poster.